Are you having problems with pests in your home? Maybe you’ve tried some products but still can’t manage to shake them? Depending on the type of pest and your location, a supermarket bait won’t do the trick and they can also be just as harmful to your health as the pest themselves can be! That’s why you should consider hiring the professionals to help. The team at Pesticom is made up of fully trained and highly qualified technicians, who provide a friendly and professional service across Kellyville, Sydney and surrounding suburbs, guaranteeing complete customer satisfaction every time. We ensure your property is free from spiders, ants, cockroaches, rodents and other creepy crawlies using environmentally friendly products that are safe for you and your family, as well as your pets. We’re experts in termite inspections and can perform treatments in a variety of different homes and commercial properties. Whether you suspect you may have termites, are performing an annual check, or you’re about to begin construction and need to determine whether there are termites onsite, we can perform an inspection for you. 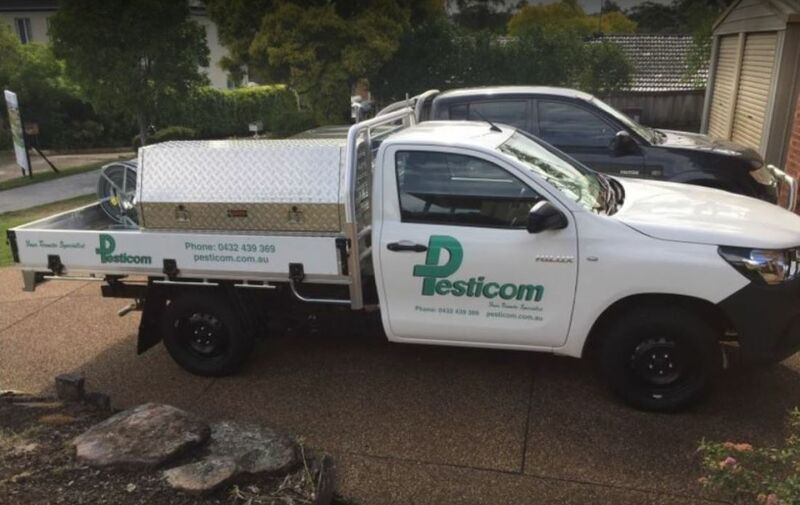 Pesticom is a Sydney based 100% Australian owned company with over 20 years of experience in the pest industry. From termites, to rodents, to spiders and cockroaches, we can help eradicate your property of any pest problem, large or small. Located in Kellyville, we can provide pest treatments across the Sydney region, including Bella Vista, Beaumont Hills, Castle Hill and Glenhaven. Whatever pest service you require, whether it’s an inspection or a full treatment, Pesticom’s experienced technicians can help. Don’t waste money on ineffective chemical baits from your local supermarket. Speak to the professionals and remain confident that the treatments we are using are safe for the environment, your pets and your family. If you have any questions about our services or the products we use, feel free to get in touch with our friendly team. You can reach us by calling 0432 439 369 or by filling in our online enquiry form and we’ll get back to you as soon as possible. Pesticom is a Sydney based 100% Australian Owned Company with over 20 years experience in the pest industry. Pesticom specialises in Termite Inspections, pre-construction and post construction termite treatments as well as Domestic Pest Control & Commercial Pest Control. Pesticom ensures your property is free from spiders, ants, cockroaches, rodents and other creepy crawlies using environmentally friendly products that are safe for you & your family, as well as your pets. Our fully trained and highly qualified technicians provide a friendly and professional service guaranteeing complete customer satisfaction. Contact Us today to discuss how Pesticom can tailor a suitable solution for your pest free environment.